States Have Already Tried Trump’s Healthcare Order. It Went Badly. Editor’s Note: This analysis is part of the USC-Brookings Schaeffer Initiative for Health Policy, which is a partnership between the Center for Health Policy at Brookings and the University of Southern California Schaeffer Center for Health Policy & Economics. The Initiative aims to inform the national health care debate with rigorous, evidence-based analysis leading to practical recommendations using the collaborative strengths of USC and Brookings. This article originally appeared in The Washington Post on October 13, 2017. Even after Republicans in Congress failed three times to rid themselves of the Affordable Care Act, President Trump has proved that there is no shortage of ideas for how to disrupt the healthcare system. The president signed an executive order Thursday that will allow small employers to join associations of small business — such as farm bureaus or chambers of commerce — that provide health coverage to their members. If such associations self-insure, existing law might enable them to avoid both state insurance regulations and the core of the ACA. Thus, a simple turn of the regulatory dials could free up a large portion of the most heavily regulated parts of the health-insurance market. Like many appealing ideas, this one, proposed by Sen. Rand Paul (R-Ky.), has hidden land mines that are already well-mapped out based on previous failed attempts to enact them, even in Paul’s home state of Kentucky. 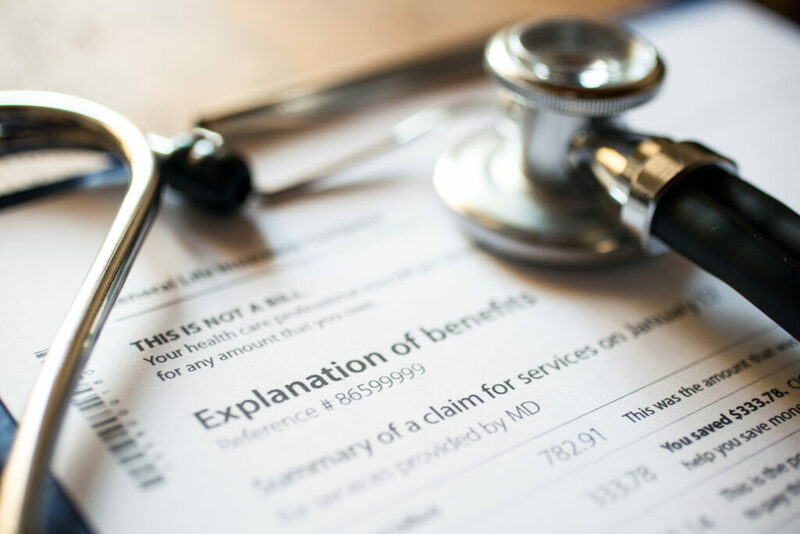 A version of these self-insured association health plans first became widespread in the 1980s, but they failed in droves because many were undercapitalized. More troubling, these earlier association plans had a history of becoming what the Labor Department termed “scam artists” and the Government Accountability Office reported were “bogus entities [that] have exploited employers and individuals seeking affordable coverage.” More than two dozen states reported in 1992 that these early association plans had committed “fraud, embezzlement or other criminal law” violations. We might avoid such a fate by requiring groups to register and meet adequate solvency and consumer-protection standards. But that doesn’t solve the more ominous aspect of association health plans: market destabilization. Because less-regulated association health plans compete with fully regulated markets, actuaries and regulators have long warned that association plans create an uneven playing field that can disrupt markets. People who don’t need to cover preexisting conditions or don’t want to pay community rates gravitate to the better deals offered by associations, leaving sicker people in the regulated markets. Naturally, regulated insurance prices increase as a result, sometimes causing a death spiral that crashes the market. That’s just what happened in Kentucky in the 1990s when it reformed its individual market but exempted association plans from the reforms. Enrollment with associations shot up, and most insurers selling in the regulated market pulled out. Within two years, the state repealed its reforms. Association health plans were only one part of Kentucky’s failed market reforms, but they are still a major reason why the so-called Kentucky disaster now serves as a lesson for other states to avoid similar measures. We could avoid such market disruption by making association health plans abide by the same regulations that govern individuals and small groups, but the whole point of Trump’s executive order is to sidestep existing regulations. The only other option for avoiding market disruption is to keep association plans separate from the regular market by ensuring that people cannot simply choose between association plans and regulated insurance based solely on their health status. Employer groups avoid this kind of adverse selection because people can’t just pick an employer simply to get the health insurance they want. But many association health plans allow just that. You don’t need to be a farmer to join the Farm Bureau, and business associations can be open to any person that files a Schedule C tax form. Some groups have such skimpy fig leaves for membership qualification that they are criticized as “air breather” associations — that is, the only commonality among their members is their dependency on oxygen. Federal and state law attempts to avoid this by exempting associations from insurance regulations only if they are “bona fide,” meaning that obtaining insurance is not the reason people join them. But as regulators will tell you, that criterion is not easy to enforce, which is why the hot potato of association “bona fides” is regularly tossed back and forth among states, insurers and the Labor Department. Despite this troubled history, association health plans have an important place in, and alongside, regulated health-insurance markets. Still, their history counsels caution in freely expanding that role. These plans should succeed based on delivering superior value rather than serving as a vehicle to cherry-pick regulations they do and don’t want to follow. For that to happen, association health plans need a set of carefully considered rules based on lessons from the past, rather than naive belief in a quick fix. Mark Hall is a nonresident Senior Fellow in Economic Studies, Center for Health Reporting at the Brookings Institution. Hall did not receive financial support from any firm or person for this article or from any firm or person with a financial or political interest in this article. He is currently not an officer, director, or board member of any organization with an interest in this article.